I am the third generation to cultivate the land where I sustainably grow many thousands of specialty tulips, in addition to many varieties of annual and perennial cut flowers in Waitsfield, Vermont. The daughter of a horticulturalist and self-taught master gardener, I grew up surrounded by my parents gorgeous gardens and blooms at the von Trapp Greenhouse in Waitsfield. 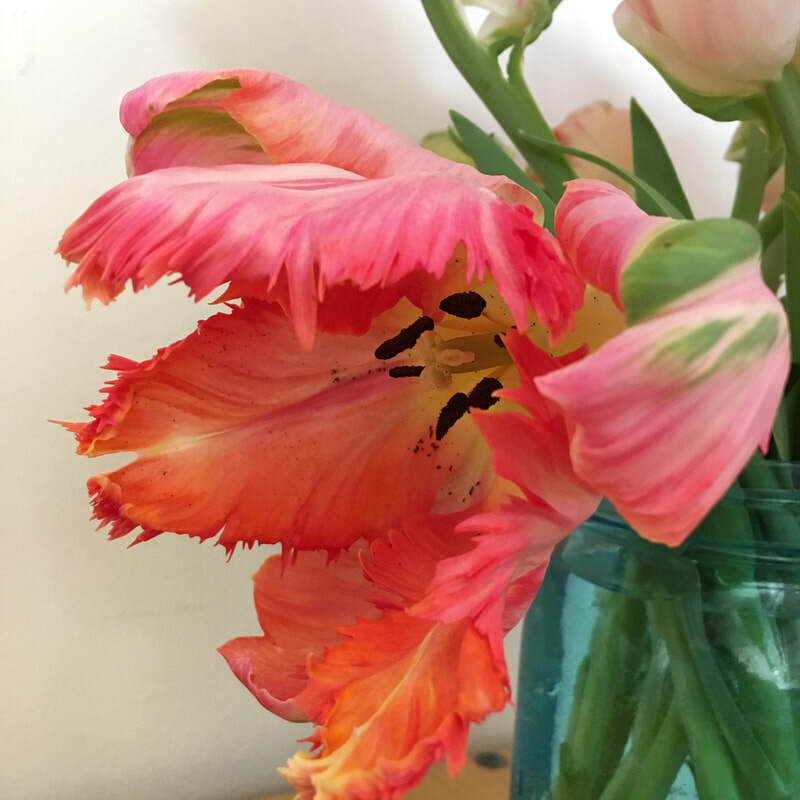 Eight years ago I realized that I needed to find a way to extend my season, so naturally I turned to one of my favorite blooms- Tulips! That first season I started with only 3,000 tulip bulbs, and I was hooked! This fall I planted 70,000 specialty tulip bulbs (with the help of some amazing friends) which will be sold at seven Markets in Central Vermont and also through a Winter Tulip Bouquet CSA. Tulips will be available in markets beginning in January and the Winter Tulip Bouquet Shares will begin in February. 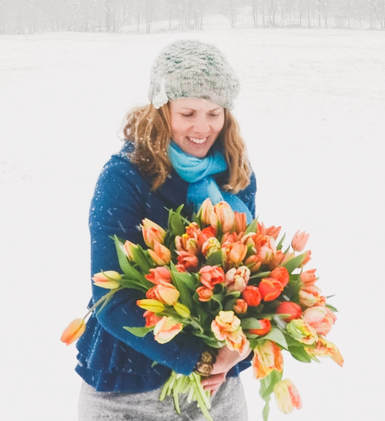 To learn more about the Winter Tulip Bouquet CSA, visit our Winter Tulip Bouquet CSA page.